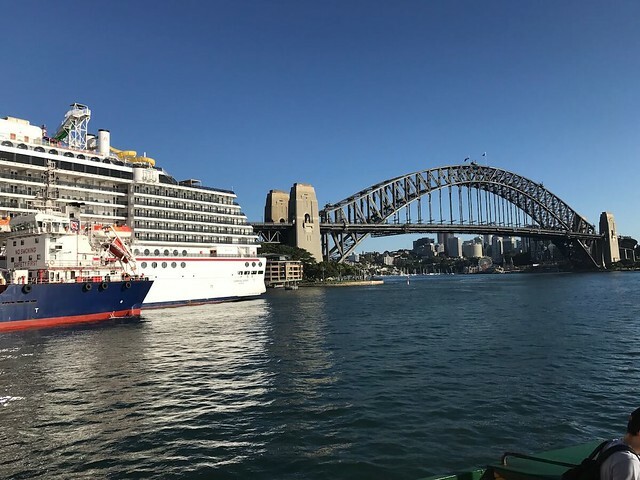 How to travel to Sydney on a budget? If you love traveling, Australia or specifically Sydney is surely on the list of the top must-visit destination. 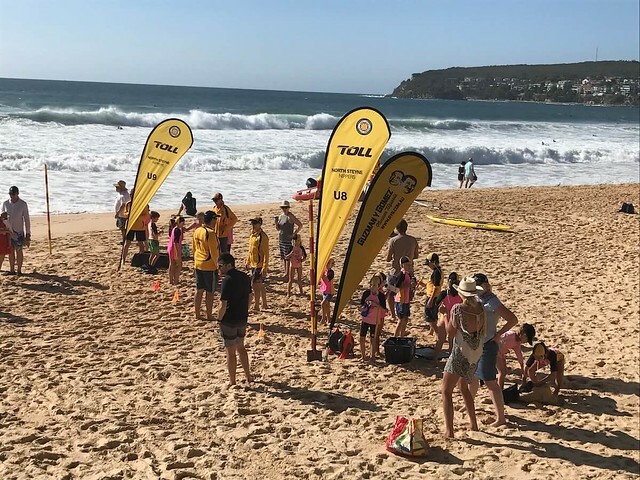 However, as you might be aware, Sydney, which is one of the most expensive cities in the world, can deter you from getting the most of this lovely city. So, how can you still enjoy the beauty of Sydney without harming too much your wallet? 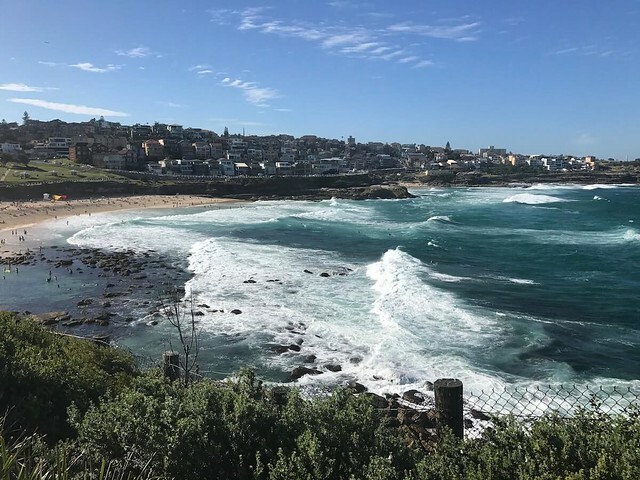 Check out the Sydney Itinerary: 4 days travel to Sydney on a budget written by Trang Le – a travel lover currently living in Melbourne to find out all the answers. 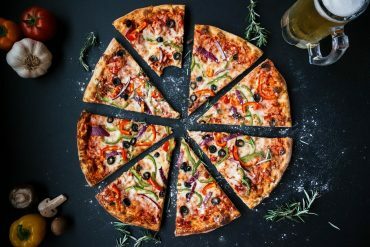 She will guide you to the best places to visit in Sydney, things to do in Sydney and places to eat in Sydney in this article. The note includes my itinerary, my tips, my recommendations. Where to stay in Sydney on a budget? I usually use booking.com to book for accommodation while traveling. You can check Sydney budget accommodation with Booking.com or read reviews on Trip Advisors. >>Read the best tips to book a perfect stay in Sydney. 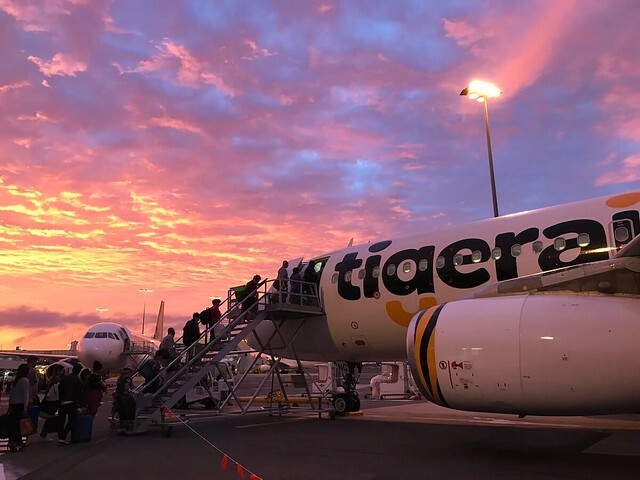 I flew from Melbourne to Sydney with the early morning flight at 8 am. 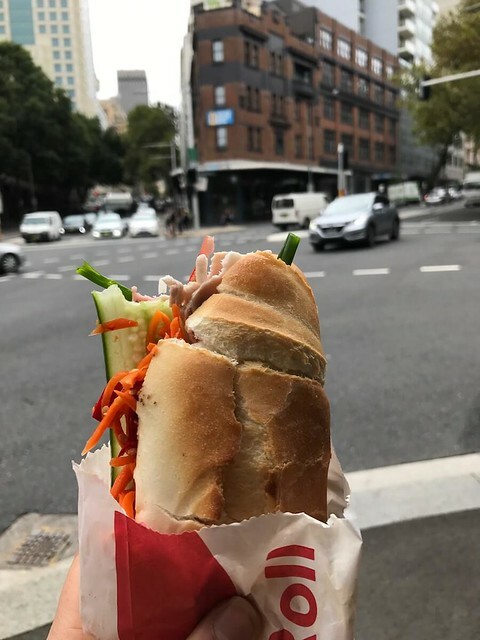 After arrived at the hostel around 10 am, I had first breakfast in Sydney with Vietnamese bread at the store next to my hostel: 5.50$ for any rolls. It is quite good and the price is affordable. 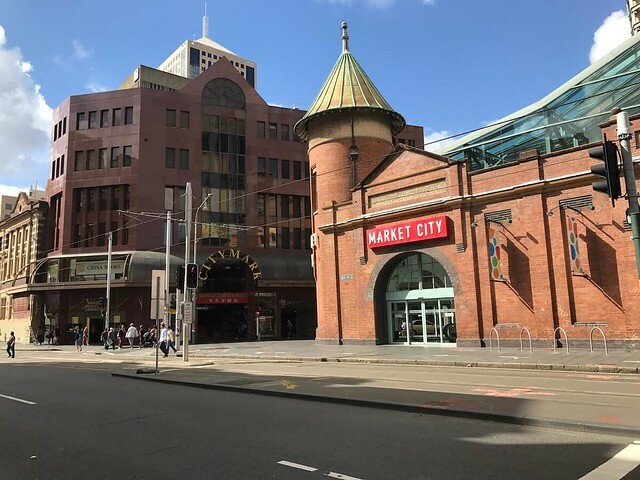 Then, I went on a tour called “Free walking tour – CBD Tour” at 2:30 pm until 5:00 pm and “Free walking tour – The rocks” at 6 pm until 7:30 pm. The ending point of the first tour is also the beginning of the 2nd one which is in Harbour area ( Circular Quay). The tour covered all of the main iconic places in CBD Sydney, explained the history then gave some fun facts. I really recommend it for those who are interested in listening to stories and histories, as well as knowing more about what locals think. Personally, I did really enjoy it since it is free, and I haven’t joined any informative tour like this before. Especially there are so many places to go around Sydney and you might spend a lots money on transportation which can be made in a walking distance. 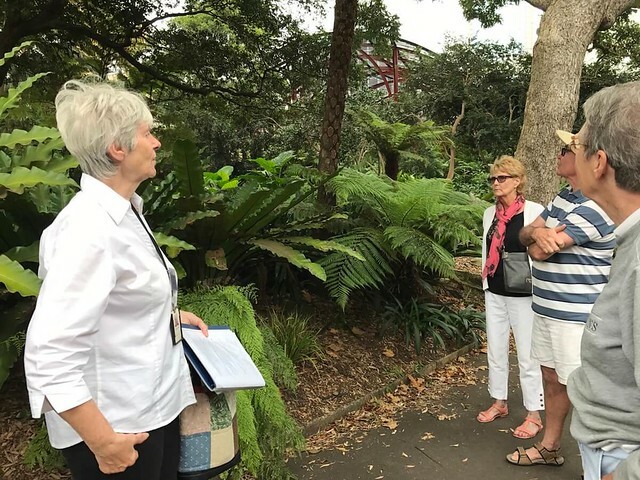 I think the tour is very good for people who are new to the city. 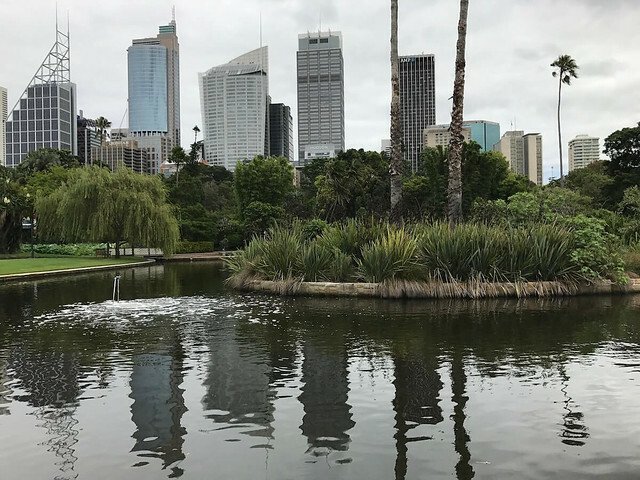 You can have an overall review of all the places around CBD, then you can come back later to any places that you are interested in. 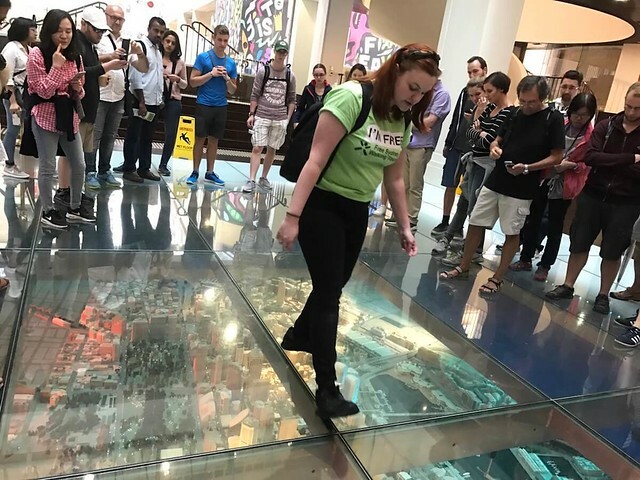 However, you shouldn’t go on the tour if you prefer walking randomly on your own preferences, taking pictures… The tour is designed to give a brief introduction to Main points in Sydney for you to come back later. After finishing the tour, my friend and I decided to have a meal at a Halal Thai food restaurant “It is time for Thai”. It is also the place we ate on the last day in Sydney. Since she is Muslim, we preferred eating here. So it is optional if you want to give it a try. 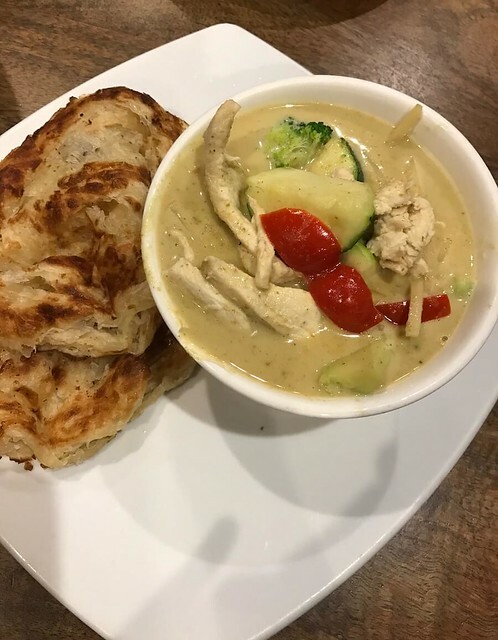 Personally, I think the “Green chicken curry with Roti” – 13.50$ and Tom Yum Kung are very delicious. I love the smell of coconut and the spicy-sour flavor for Tom Yum. Some friends might know I am a spicy eater, but it is not that spicy though. 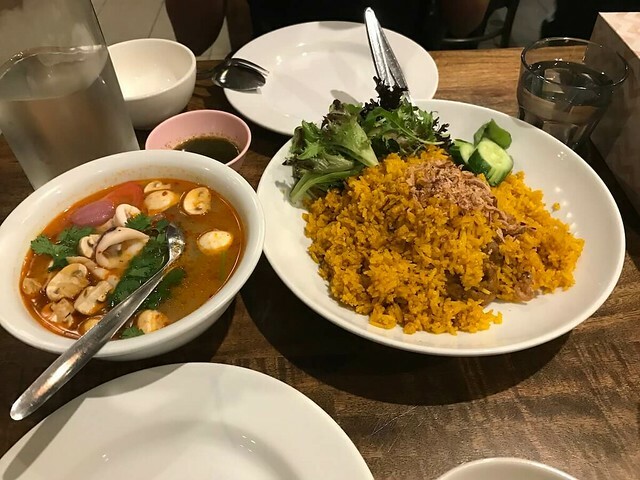 Therefore, I recommend them to those who are into Thai food and spicy food. How’s going all my traveler guru? 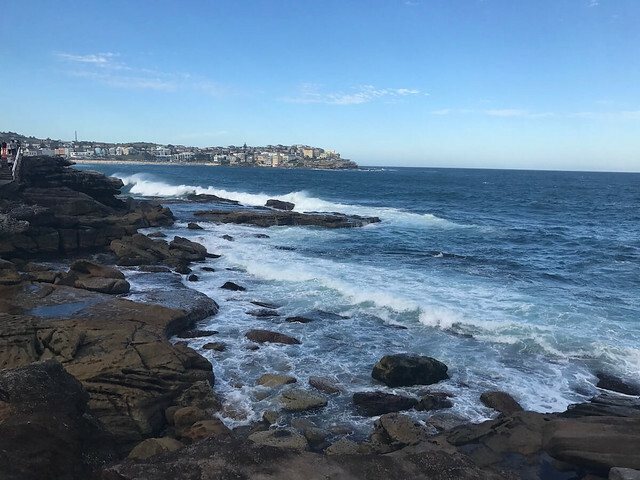 I hope that you guys all enjoy reading my 1st day in Sydney and here I am again with the summary of my 2nd day in this lovely city. Where is the best place to have breakfast on the first morning in Sydney? Where to go in the nice and chilly weather to have another look at the harbor FREE and more important, the best place to eat for lunchtime. Everything is included on the second day of Sydney Itinerary. 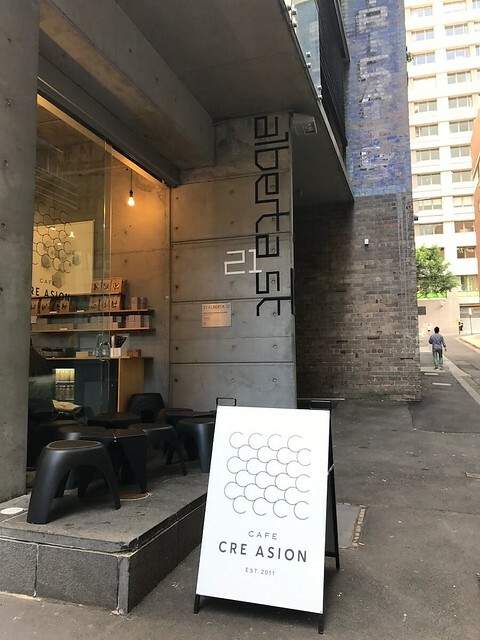 Waking up at 7 am, I had breakfast at a cafe called “The Cafe Cre Asion”, which is just 5 minutes walking from my hostel. I found this cafe with the highest reviews and ratings on Zomato app, so I gave it a try. I can say it is the most expensive breakfast that I ever had in my life. However, I think it is worth the money because the food is tasty and filling, so I didn’t feel hungry until dinner. 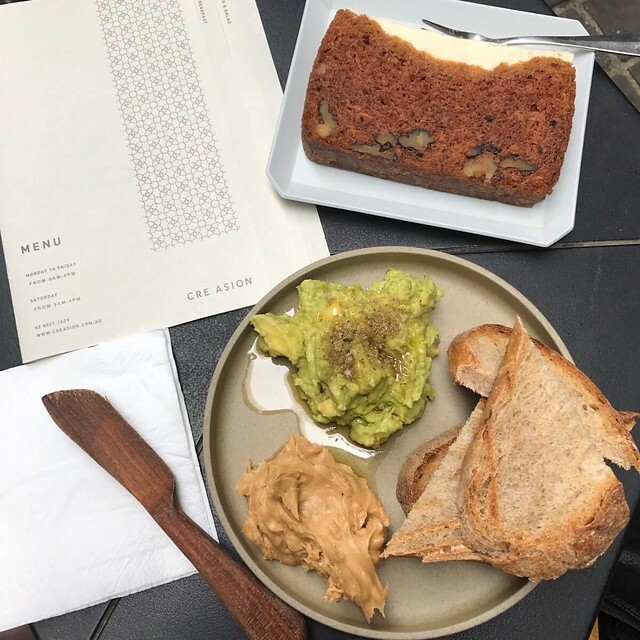 I ordered a “toast with peanut butter and avocados adding” and a “Carrot cake”: 16.50$ for everything. A better option is to order a scramble eggs toast and matcha latte (only 5$) because it is the most popular drink here. Then, I went to the Royal Botanic Garden by train from Museum station to Circular Quay, then walk to the place. At first, I was a bit lost since the place I wanna head to is located at a different gate, and the Garden is huge. Therefore, I needed to walk back to the main gate at Macquarie St.
My friend and I registered a free tour at the Tourist information booth in the Royal Botanic Garden at 10:30 am. The tour took us 2 hours of walking around one little corner of the huge garden. The guide gave us much information about different kinds of trees, the history, and some fun facts. However, you might get bored since the tour is academic and biologically oriented. I don’t really recommend if you are not interested in knowing about different plants, trees, and biology. You can spend time at your own pace walking around the garden taking photos instead. 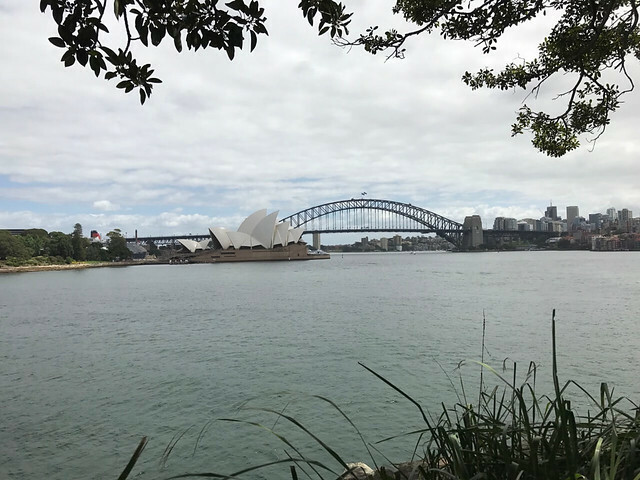 In the Royal Botanic Garden, you must go to Mrs. Macquarie’s Chair where you can see both Harbour Bridge and Opera House from the right side. It is very nice and scenic to view from this angle. Next, we want to have lunch at the Seafood Market which is the most recommended place if you are seafood lovers. You can find a variety of fresh and affordable seafood here. 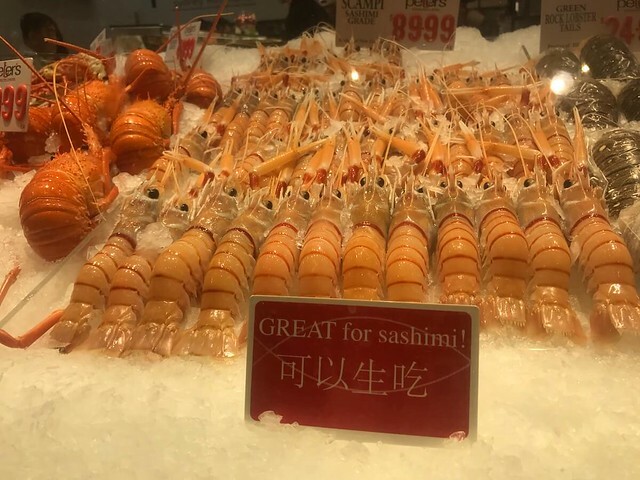 It is a bit expensive when coming to seafood eating. So, be aware of your budget if you don’t want to be broke there since everything is so mouth-watering! After going around to different restaurants in the area, we decided to buy food from the Peter’s. 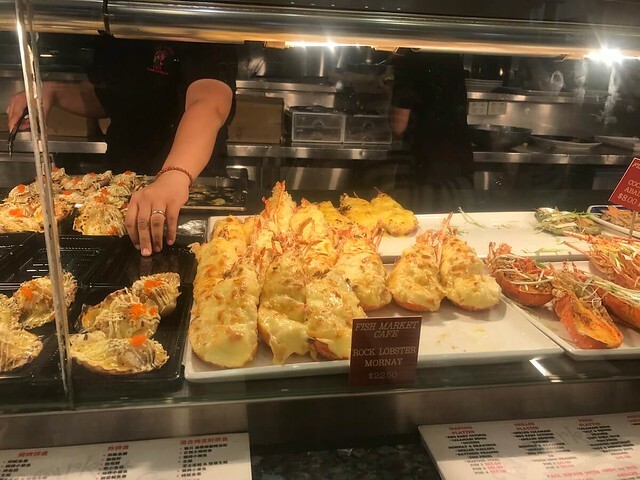 My friend ordered a set of Lobster combo: 42$. The portion was too much for one person. Because there is only one lobster, it is unable for me to share with her. Don’t order a big combo if you are unable to share it with anyone else. Better to choose a la carte to save money and try different dishes based on your own interest. Overall, it was a fascinating experience when eating and covering your hands above the food because of the invasion of many birds flying around and start stealing your food. However, I did enjoy eating there so much. We viewed the scene of the wharf, boats, sky, and birds. 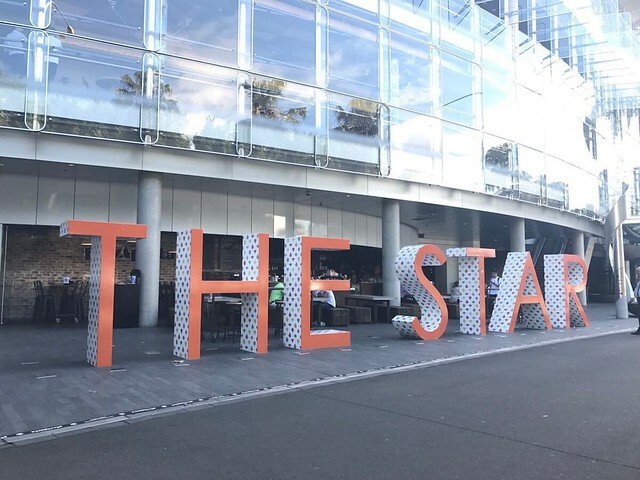 After eating brunch, ( and brunches for me ), we took the train to The Star Casino to get inside a bit. Both of us are not good gamblers, so we are not willing to play any lots there. You should bring your passport or personal identification to be checked at the entrance. We went inside for 10 mins, then went back and headed to the Darling Harbour on foot. ( 20 minutes in normal – lazy pace). On the way, there are many benched so you can rest. The scenery is beautiful and worth taking pictures. After that, we walked back to the Central area, where I took the train to go to the concert ANZ Stadium to enjoy Adele concert. My friend instead went to “KOI dessert restaurant” which is a place of fine dining with very high rates of fancy eating. You might be aware of your budget if you want to spend money on eating at this restaurant. It can cost you around 60-70$ for a set of 3 different kinds of deserts. I myself don’t really recommend it for those who are not into fine dining and not willing to overspend the budget. Another option for dessert restaurant for sweet-tooth people is: “One tea lounge grill” if you like Matcha and Japanese dessert. I haven’t tried the food there but one of my friends did and she rated it very high. You can check it out. To me, traveling is not only getting the most for yourself, but also for other people back home. Therefore, buying some sort of souvenirs is always a MUST in our to-do-list. 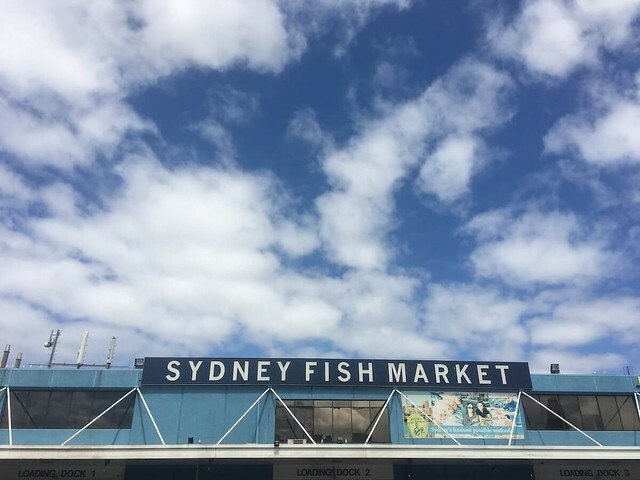 On the 3rd day, you can find where to go for budget shopping in Sydney. You can also find out how to spend the rest of the day viewing the Sydney from a spectacular view. I went to the Market City which takes 10 mins walking from my hostel, so I didn’t spend money on transportation. You can buy different souvenirs there for friends and families. Since my weight for luggage is limited, I can’t buy many things. In some shops, you may bargain to get a good price, some may not. Just try to make a deal with the sellers to see if you can get the good price. My friend instead went to the Glebe market to see the antique stuff and then we met up near my place. We went around that area to places in CBD, near Sydney Tower, shopping arcade, Commonwealth Bank building. 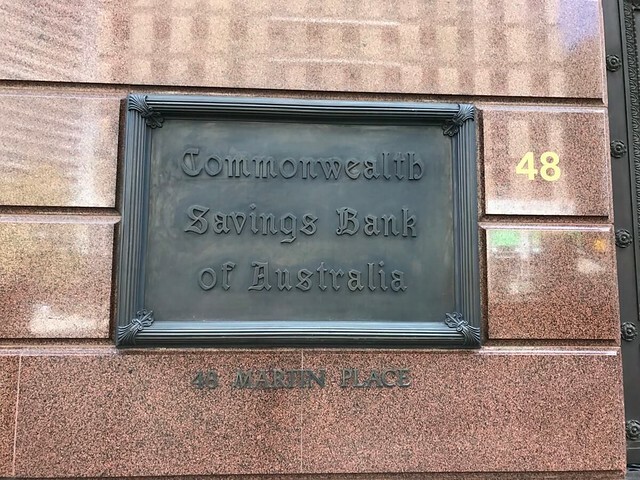 Here, I really recommend to go and see the Commonwealth Bank building, which is located on the street named Martin place. This is the most expensive building in Sydney and is made of all marbles and very luxurious looking. However, the bank only opens on weekdays, so we couldn’t go inside on Saturday. It was a bit regretful. After that, we went to “Halal Chinese noodles bar” near the George Street to have a meal. My friend ordered a bowl of beef noodle and the portion was a lot to her to finish so I recommended ordering a smaller one, or a la carte type of food to share with friends. Then again, this eating place is optional since it is Halal food restaurant. 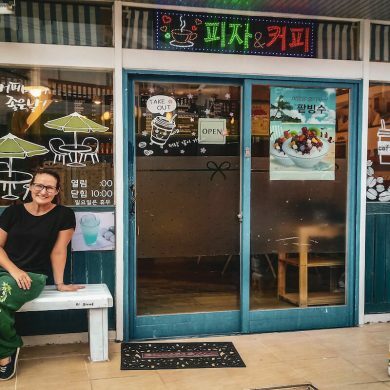 You can easily find many different restaurants in this area such as Korean food, Thai food, or Japanese food. After that, I went to the Melbourne Contemporary Museum and spent around 45 minutes here. It closes at 5 pm, so you should come earlier. 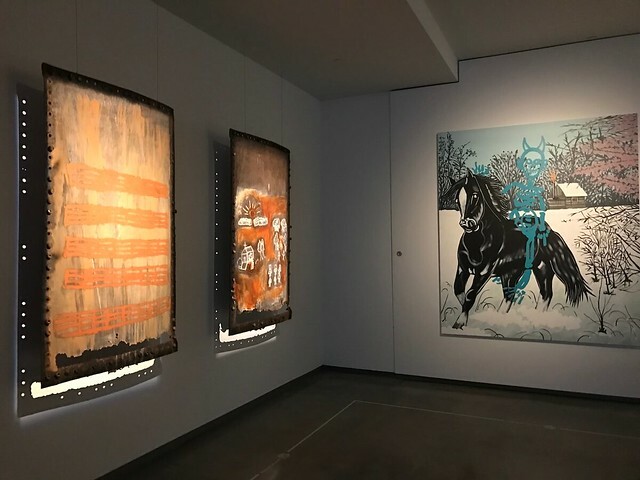 You might find a bit deep and hard to understand the arts but still a good experience. 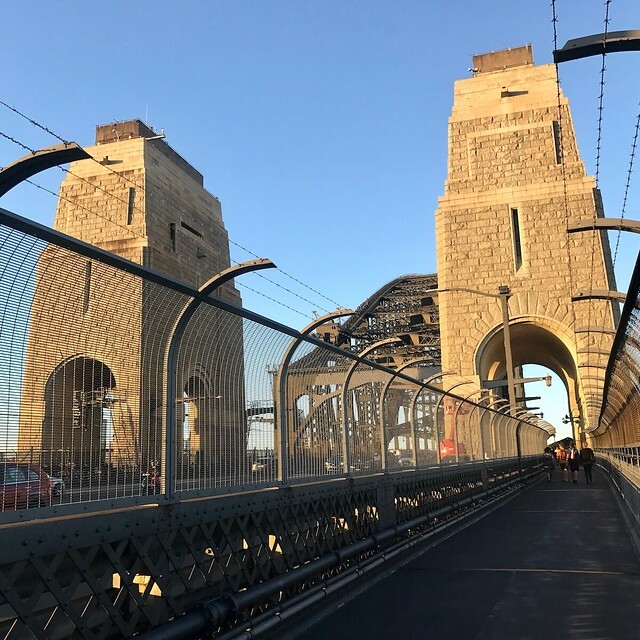 I went to the north side of the Harbour Bridge by train to Milsons Point Station. From there I walked back to the Harbour area through the bridge. As you may know, you can spend 200$ on climbing above the bridge, but I rather save it up by walking through and see the view from the height. There are many people walking as well and it wasn’t arduous to walk. 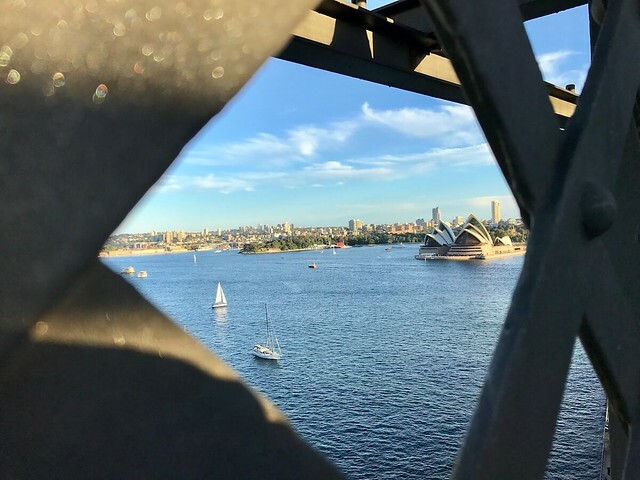 The view of the Harbour from the Bridge is amazing and breath-taking. It took me roughly 30 mins ( my speed one again ) to finish walking from the north side to the other end. Then I kept continuing walking following the path to Royal Botanic Garden where I saw the whole harbor area from the height at a different angle. 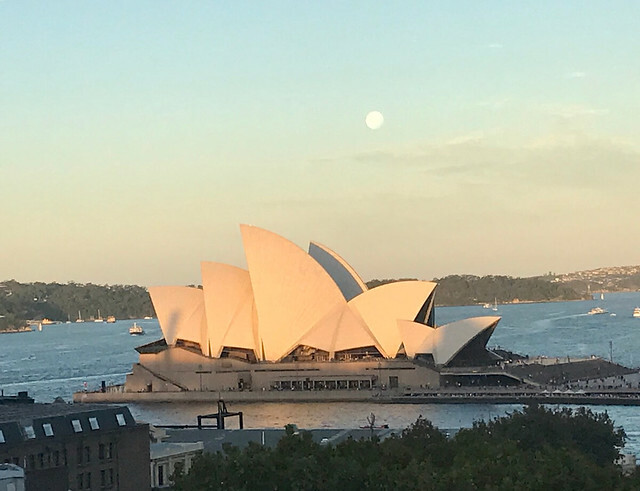 You better cross the bridge during the sunset time, so you can see clearly the Sydney Opera House under the moonlight, and skylight of sunset. Or else, you should come to the Macquarie chair at the Royal Botanic Garden to see the view during the sunset. However, you may be aware of the closing time which is 5 pm. 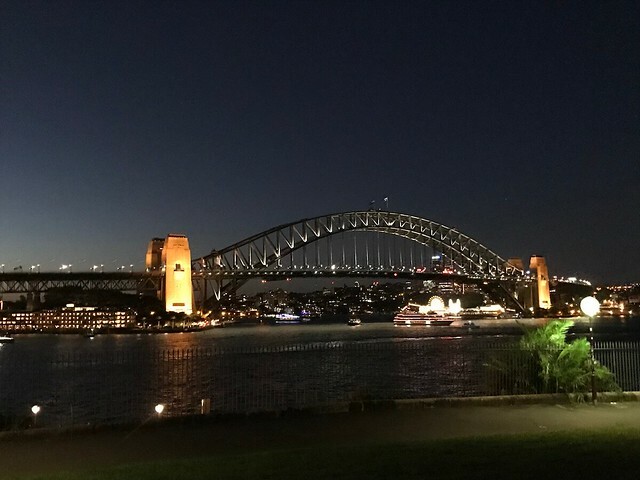 I walked for next 30 mins and then came back to the Opera House to enjoy the night view there. It was so peaceful and romantic when sitting the bench and looking at the view. You better grab some snack and spend time there. 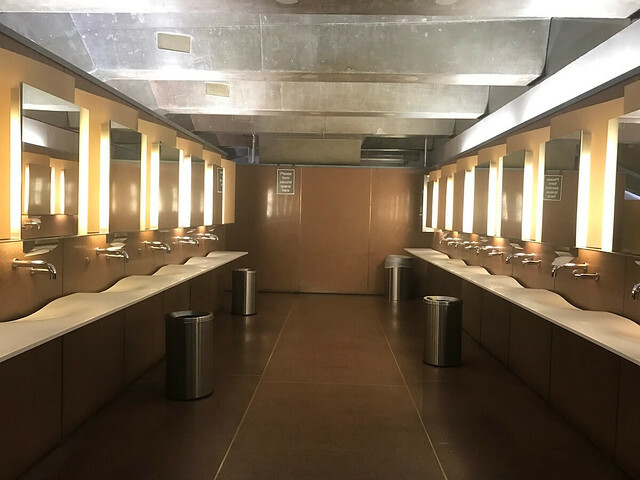 I went inside the Opera House to have a look and went to the famous toilet. Haha. It was beautiful and worth checking out if you may wish. 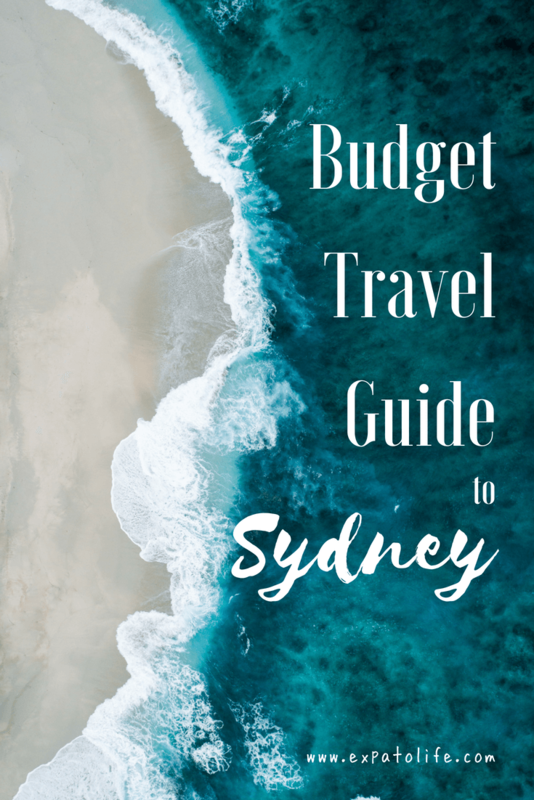 Here are more tips for Sydney on a budget! As you may know, the transportation fare in Sydney is expensive. However, on Sunday you can get a very good deal with only 2.50$ for all the places. For that reason, we decided to go to Manly Beach from Circular Quay by ferry. Normally, it will cost you nearly 6$ one way for the ferry riding. In order to avoid crowding ( because Of Sunday deal), we woke up early and hopped on the ferry at 8:45 am. Still, there were already many people at that time. It took us 30 minutes to reach Manly beach ( haha now I know the reason for this funny name). We spent nearly 2 hours wandering around, taking photos and having breakfast at a random restaurant. (10-15$) depending on your choice. However, I had butter bread and milk at the hostel to save money before going. The beach is very amazing with high waves and many surfers who are very MANLY!!! 6 packs and fit body men are everywhere!!! There are also some local markets where you can check out. At 11:30, we went back to Circular Quay to have lunch at “The pancakes on the rock” – 5 to 10 minutes walking from the Circular Quay. On the way walking there, we came across The Rocks Sunday Market which sold a lot of different types of vintage products and stuff. You also should have a look at them as well. Here is my friend wearing a supergiant hat selling there. I came to the restaurant and needed to queue around 5 minutes. However, normally you might be expected to wait for more since the restaurant is very famous! 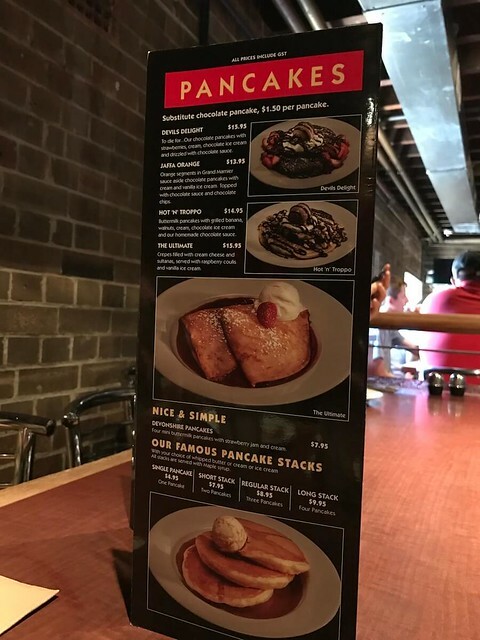 We shared one of the recommended pancakes here, which is the “Devil Delight Berry Pancakes” – 13,50$. However, you can choose anything on the menu according to your preferences. The price varies from 10 to 30$ but the portion is kinda large for Asian girls like us by the way. I really love the smell of it. 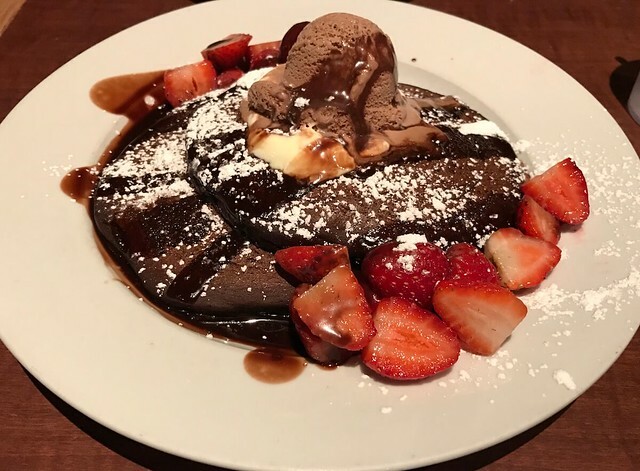 It is not too sweet and especially the pancake is very soft and hot inside. Really tasty! I recommend the restaurant to everyone. Since it opens 24-hours, you may come at a different time of the day. It’s so very great, isn’t it? In the menu, you can find the Breakfast set which is available all the day and the price is less expensive than the dinner set. 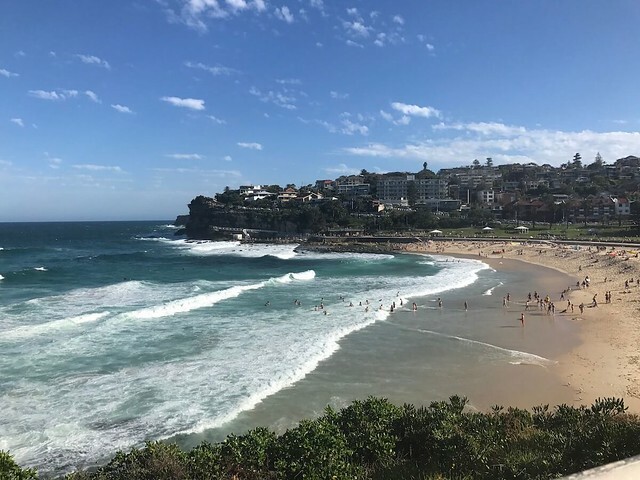 After around one hour having lunch there, we went back to Circular Quay and took the bus to Coogee Beach, where we walked from Coogee Beach to Bondi Beach. Normally, people walked from Bondi to Coogee however, we want to catch the sunset moment at Bondi so we did it reversely on purpose. We started the walk at Coogee from 2:45 pm and we reach North Bondi at 6 pm roughly. On the way of walking, we stopped at different places to take photos, rest, drink water and go to the toilet as well. I really recommend those with good condition and walking ability to do the walk because you can see all the amazing view of the ocean from the height. It was such an amazing experience that I have never had. 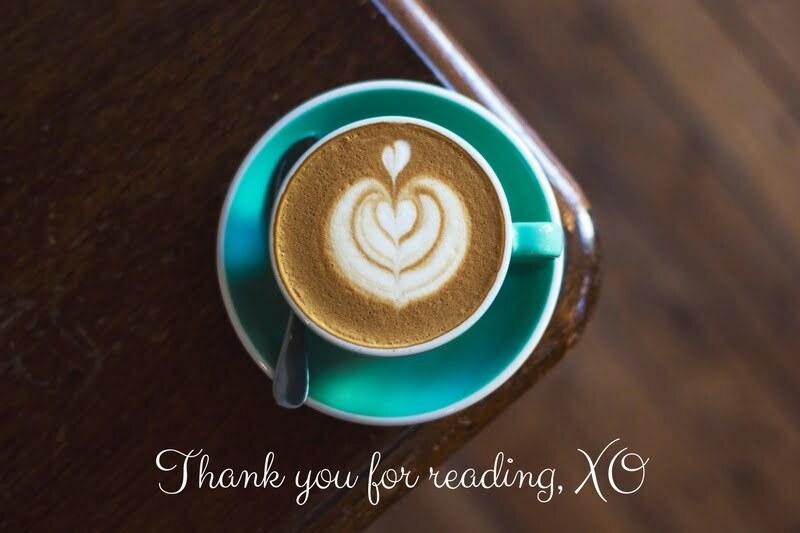 I don’t ask you to follow all the things I wrote here. If you want to follow, you may be aware of the health condition and some certain aspects. Personally, I am a fast walker (maybe 2 or 3 times compared to a normal pace and all my friends say that ), so I obviously can save time and money by walking fast to different places. Besides, I AM KINDA STRONG and furious, so you can feel tired and uncomfortable with covering up all the places I went to. So, just consider my note as helpful tips for your next trip. I hope you enjoy reading it and please give it a comment or share as you wish to let me know you think it is helpful. Due to the time limitation, I couldn’t go to several places as I wish to go like “The Blue Mountain”, “The Taronga Zoo”, “National royal park”..etc. Maybe I will save it for another trip in the future. Who knows? * This article was updated on June 10th, 2018. Fried ice cream?! Yes, please! 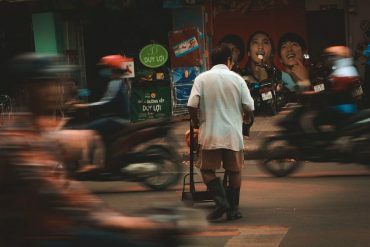 Australia has always seemed like an expensive country to travel to, so it’s great to know one can get around on a budget. Yes! It’s totally possible to travel on a budget in Australia. We will update more about Sydney trip in the next 3 articles! Good to know about the free walking tours, what a great way to learn about the area. Those are some pretty great views of the harbor bridge and opera house, plus street views. Thai for dinner looks delicious. I totally agree that free walking tours are always one of the best ways to learn about the area! Sydney is such a great city. It’s been way too long since I visited though. The Thai Food restaurant seemed very Nice. Nothing beats delicious asian Food. When I Return to Sydney I will try one of the walking tours, thanks for the tip. I’m glad that you like the tips! I’m looking forward to your travel pictures to Sydney! Sydney is such a lively place. Although I was there for close to 10 days yet I couldn’t see everything but i pretty much did what you wrote about. Good summary. I love how detailed you are with all of the prices. This really helps with making a realistic budget for food and such. I often find that this is the hardest aspect of trips to predict. I’m glad to hear that. Because the main focus of this website is budget travel, I would love to help people easily caculate their budget for their trip! I travelling on a budget is possible, there are so many affordable options! I think you had fun and visited so many places! The food looks delicious! Yes! There are many options to have a budget trip! 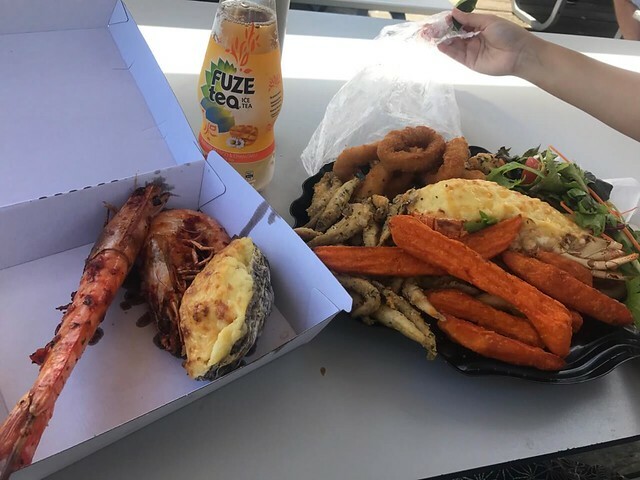 You should definitely try those food if you have a chance to visit Sydney! Now you know places for budget food :) Save it if you come back to Sydney one day! Australia is on my list for next year. Thanks for all the tips. Glad to know one can do it on a budget. The expense itself makes me hesitant sometimes. Yes, that’s why we have this post :)! You should not hesitate to visit one destination, just need to find best way to avoid “tourist trap”! Hope you will enjoy our next articles in this series! I love the little summary you’ve included in the beginning of the post. I didn’t realise there were free walking tours in Australia (and I used to live there). 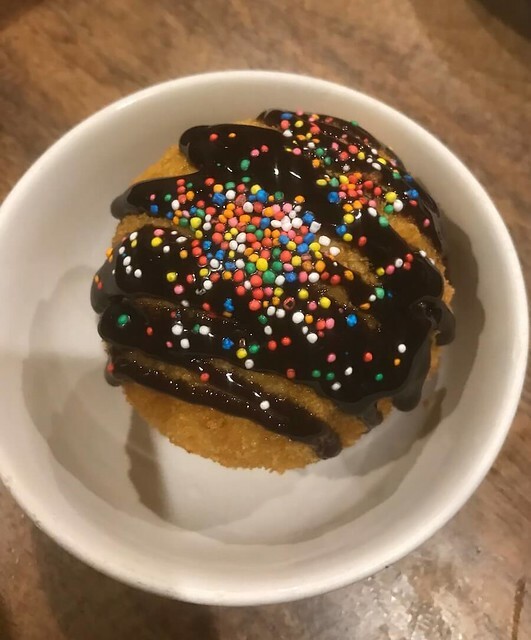 I don’t think i’ve ever had fried ice cream – didn’t know that was a thing! Looks absolutely delicious. Look forward to seeing what you got up to the other days. Thanks a lot for your feedback! The summary surely makes it easier to follow up! I hope you will also enjoy the next posts in this series :) Stay tuned! It’s been 10 years now since I’ve been to Sydney, and your post makes me want to return! I remember walking around the Harbour area and Rocks area by ourselves. The idea of a free walking tour is great! Also, that fried ice cream looks delicious. You should definitely try the walking tour and Thai rice! I hope you can use those tips in the post :) Stay tuned for next posts in this series! I’d really like to visit Australia but with a family of 3 it’s really expensive, especially since I want to go to the Outback! Those free walking tours look like a good option for families that are a bit older than ours though. 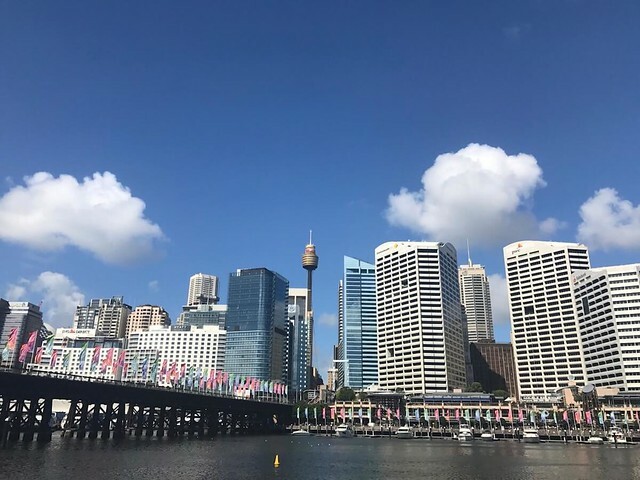 Sydney has such a reputation of being expensive so it’s glad to see your tips and recommendations on how to make it a more affordable trip, thanks for the recommendations – we love free walking tours!! That fried ice cream looks delicious too! Thank you! You can follow more to our next posts on this trip! 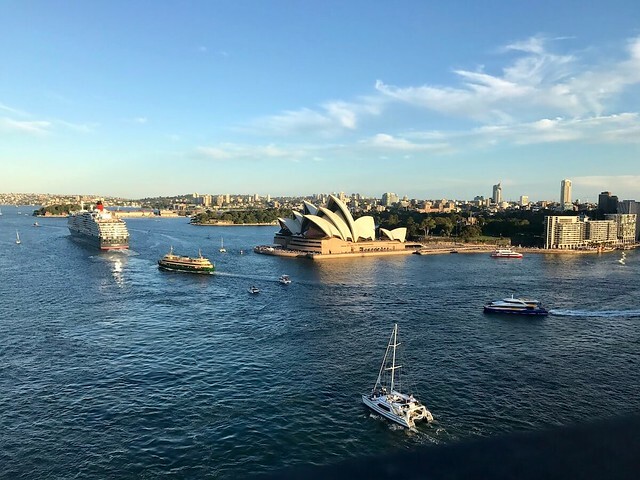 Great information about your travel itinerary in sydney! Love the insight, as I’m hoping to go there in the near future! 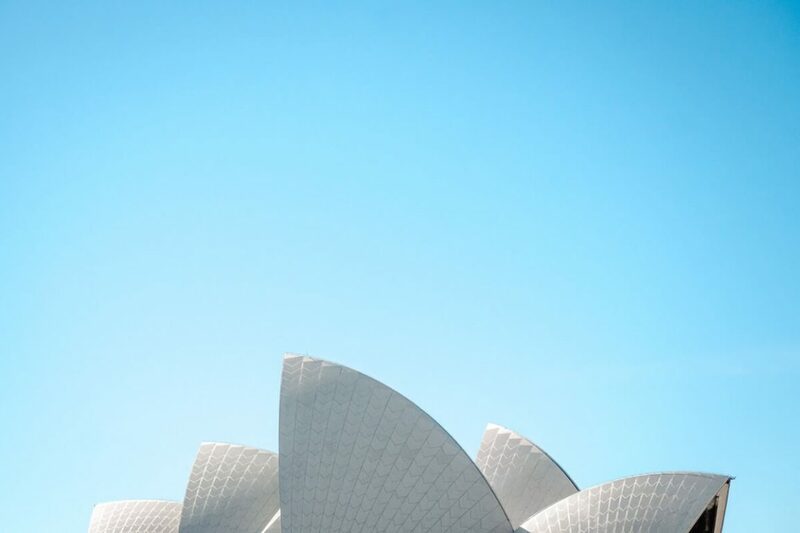 Everything you need to know about making the most of your time in Sydney – nice one! I’m impressed with the detail here, very helpful. 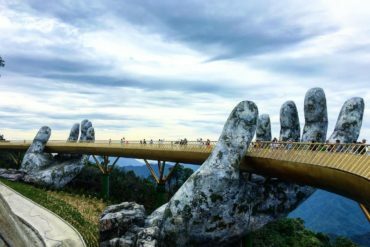 I’m a budget traveler as well and I think this guide is great! It’s always good to see a price break down and really see how you will spend your money when you are in a city. Also looks like you were able to do a lot in just a short amount of time! Awesome! Great tips, bookmarked for if I ever make it to Sydney (especially the fried ice-cream)! I loved Sydney, though I am a Melbourne girl at heart! It’s definitely not easy to do on a budget, but you’ve got some great tips here!